Looking For Permanent Make-Up Clinics? About Us As one of the leading manufacturers, and training centres of Permanent Makeup and Semi Permanent Makeup, machines and accessories, BioTouch International has been dedicated to saving women from the time-consuming regimen of enhancing their beauty. Founded in the mid 1980?s, with products sold in over 33 countries worldwide, BioTouch has a unique approach which combines 5,000 years of Asian makeup techniques with modern technology, to create the finest permanent and semi-permanent makeup products available today. BioTouch stresses ongoing research and development to ensure the integrity of each state-of-the-art product. The BioTouch Training Program has become known internationally as the finest there is. BioTouch has trained hundreds of technicians, with many of our competitors coming to us to learn how to ?do it the right way?. Ultimately, BioTouch enhances the lives of those who use our products. 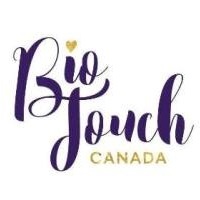 Our commitment to technologically with advanced and innovative products is why the name BioTouch is known throughout the world for excellence and superior quality.